JDMCITY.COM - So EP3's huh? What are some of the downfalls to ep3's anything that really stands out that I should know? Also why should I get an ep3 over other cars? I'm just weighing out options and you guys have ep3's I wanna hear from some owners :teeth: thanks plenty. Or mini space ships :D. Yeah I get what you are sayin though. I'm talking performance wise what to look for :thumbsup: thanks for the input though. From what else I've read - the K20A3 is a slouch of a motor, kind of designed similar to the 92-95 Civic VX VTEC-E motor. "The VTEC system on engines like the K20A3 only operate on the intake cam; at low RPM only one intake valve is fully opened, the other opening just slightly to create a swirl effect in the combustion chamber for improved fuel atomization. At high RPM, both intake valves open fully to improve engine breathing. In engines such as the K20A2 found in the Acura RSX Type-S, the VTEC system operates on both the intake and exhaust valves, allowing both to benefit from multiple cam profiles." 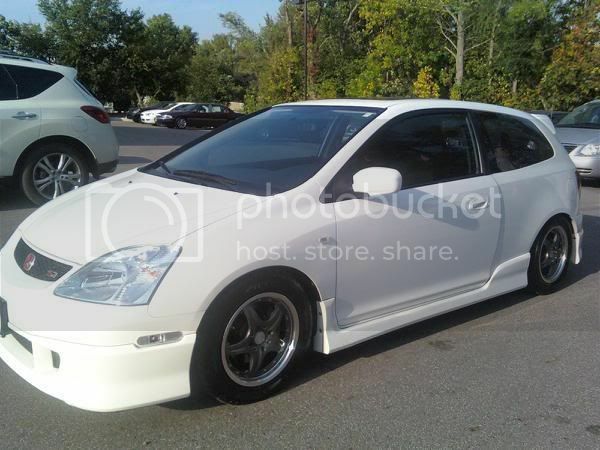 "i-VTEC (intelligent-VTEC) introduced continuously variable camshaft phasing on the intake cam of DOHC VTEC engines. The technology first appeared on Honda's K-series four cylinder engine family in 2001 (2002 in the U.S.). In the United States, Honda first debut the technology on the 2002 Honda Civic Si EP3 with the economy version." "The economy i-VTEC is more like the SOHC VTEC-E in that the intake cam has only two lobes, one very small and one larger, as well as no VTEC on the exhaust cam. The two types of motor are easily distinguishable by the factory rated power output: the performance motors make around 200 hp (150 kW) or more in stock form and the economy motors do not make much more than 160 hp (120 kW) from the factory." There are ways to make an EP3 respectable, and I think weltall did it fairly well. I really liked mine, i honestly have no bad things to say about it. i think mine looked nice too. Over all im happy with mine, i like the stock seats, shifter position, gas mileage, and the fact that there isn't a cagillian other EP3's out there. yea the A3 is a turd. kinda like a b16, not fun unless you boost it. yea the A3 is a turd. kinda like a b16, not fun unless you boost it. What if I swapped the head and ecu would that pep it up a bit? Last question sorry I just don't wanna drop the cash and not be happy with it. But do you think 10g's is decent for an 02 with 40,000 miles a buddy club exhuast, tenzo r rims, and a momo steering wheel? So many questions with so little to do. :roflmao: Yeah I caught that but the picture makes it thirty times better. 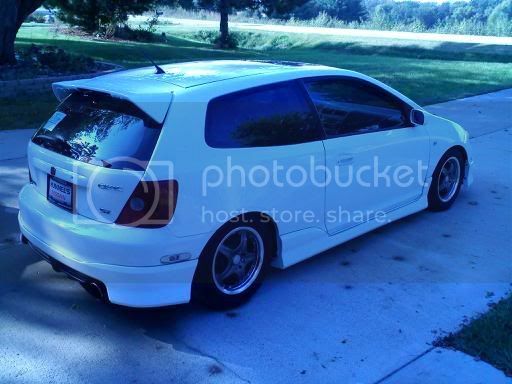 Well, when you said EP3 on Tenzo R wheels, all I could think of is Wes English's old hatch. They're black tenzo r's and it's at a car lot. Idk it's possible anything is ha but it looks like it was pretty nicely cared for. I would post a pic but the website uses a flash player for the pictures and I can't save the pic.